I always make Buko Ice Candy when Woolworths sales Young Coconuts (labeled as “Drinking Coconuts”) at AUD$2.00 each during summer. Please refer to my “Notes” down below for my crude and evil way of husking and breaking the young coconuts….only a dedicated Foodie would think crazy things like this, LOL! ~ Husks your young coconuts and pierce the the eyes (softest part of the coconut shell). Collect the coconut juice in a clean container. Once the young coconuts are drained out, break the shells in half. Using a handheld shredder, shred out the young coconut meat but not the brown lining underneath. ~ In a large bowl, combine young coconut shredded meat, coconut juice and condensed milk. Stir till well combine. ~ Place a funnel spout inside the opening of the Ice Candy plastic casing. Stir the mixture before ladling. Pour in a ladleful of the Buko mixture. Make sure that you are holding the spout and plastic casing connection tightly so that the mixture won’t spill. Tip: If the plastic casing overflows, tip the funnel back to the bowl while holding the connection tightly as you tip the excess. ~ Make sure that you have approximately 6-7cm empty gap from the opening of the plastic to make room for the knotting. Twist the plastic just on top of the cased Buko mixture, leaving a little bubble is normal. The Ice Candy has to be firm but not too tight. If it is too tight, it might leak when you freeze it or worst the plastic will rip. ~ Pinching the twisted part with your thumb and forefinger, wrap top end over your thumb and tuck it under towards your inner palm and swing it underneath back to your thumb and forefinger. ~ The wrapping around your thumb has to be tight, slowly withdraw your thumb while you insert the top end part of the plastic through where your thumb has been. Pull it well till you have a tight knot. Practice makes perfect! You can practice with water first and try knotting some trial Ice Candy plastic casings. ~ Once you have done all your Ice Candy, place them in a flat surface in your freezer lying down. You can stack them on top of each other (maximum is 3 layers), but don’t put anything else on top of them as you don’t want them to burst inside your freezer. When your Ice Candy are fully set, serve it whenever you need something sweet or just to cool off from the summer’s heat. In order to husks the young coconuts, I’ve used a big screwdriver with a flat head and a hammer. I divided the husk into 4 sections by cutting it with the screwdriver and then using the screwdriver to detach the sections and used my hands to strip out the husk pieces away from the coconut shell. I know it’s a crude way on husking but it works well together like a hammer and a chisel=) Just be careful not to pierce the coconut shell while husking. This is the time where I wish I have a “jungle bolo” or “itak” (similar to a machete) because this is what they use in Quezon and Laguna to husk and break the coconuts to extract the juice and meat. In regards to breaking the coconut shell (after taking the juice out), I placed my chopping board on my kitchen floor and covered the young coconut with a kitchen towel and kept hammering on the middle section of the coconut shell and kept on rotating the coconut until it was easy enough for me to praise the broken halves apart with my hands. You can buy the plastic Ice Candy casings in most Filipino Shops. If you have relatives or friends going back to the Philippines ask them to bring some back. The plastic Ice Candy casings varies in thickness, just use whatever you prefer. For other Busog! Sarap! 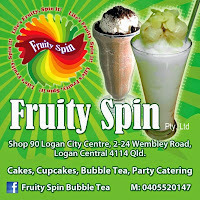 Ice Candy flavours, you are most welcome to visit my posts on Rockmelon Ice Candy (Melon Ice Candy) & Mango Ice Candy. Wow!!! I was suddenly ported back to my childhood years :) Pahinge po ako!!! @Cleverpea~ Wish you live near me ano...just open my freezer and take as much as you want...LOL! @Ray~ That's what I love about merienda snacks in the Philippines so much happy memories=) Next time I will try to do a Buko Salad version. I always have fond memories of ice candy and the neighborhood I grew up in and friends I played with in Manila. Thank you for sharing this. I love ice candy specially buco and azuki beans. Yum! is it true that using cooled boiled water makes the ice candy softer? Hi Cusinera!!!! I am making this yummies this weekend for an Outdoor party (well, it is indoors but since it's so mainit atm, I'm sure outdoors ang uwi namin nito haha) I just knew you have the recipe for this buko ice candy lol!!! Will definitely try the cornstarch-water mix as I used to have yummy ice candies back when I was a kid and the seller said the same thing...works so well! How long does it take to melt an Ice Candy when out the freezer and in those box bag things when you put alot of ice in it? @Mary Tejada~ Mine last for about 4hours because they're all eaten by that time...what I usually do is wrap the frozen Ice Candies in a bundle with a big kitchen towel cloth and place the ice packs around the wrapped Ice Candies...it keeps the cold and protects the Ice Candies from punctures. how much can I sell this? I mean, one piece of it? OMGGG I just found this. THANK YOU so much for posting this! I was OBSESSED with ice candy as a child but whenever we would visit the Philippines my mum would often stop me from getting some because she was afraid there was unclean water in it. I had no idea how to make it! This is amazing! !